• Have the FHFA change Fannie and Freddie’s guidelines regarding how long a consumer waits to be eligible for a new mortgage after a short sale to no waiting period if there were no late mortgage payments prior to the short sale and 1 year if there were. • Have HUD amend FHA’s requirement to wait 3 years after a short sale where the consumer had late payments in the 12 months preceding the short sale. It should be amended to a 1 year. • Have HUD clarify their guidelines regarding buying a short sale where the consumer didn’t have late mortgage payments prior to the short sale. • Have the FHFA, pressure PMI companies to waive their right to deficiency judgment in the event of a short sale. • Impose a 5 year moratorium on deficiency judgments on first mortgages. PASS THE WORD using the social media links below! HARP 2: Another Obama Housing Refinance Failure? The Federal Housing Finance Agency plan to revamp the Home Affordable Refinance Program will result in just 17% of Fannie Mae and Freddie Mac 30-year loans qualifying for refinancing, according to one analyst. Sarah Hu said there are some benefits of HARP 2.0, which is how bond investors refer to the plan, but also believes hurdles remain. “We know that there are many homeowners who are eligible to refinance under HARP and those are the borrowers we want to reach,” said FHFA Acting Director Edward J. DeMarco. “Building on the industry’s experience with HARP over the last two years, we have identified several changes that will make the program accessible to more borrowers with mortgages owned or guaranteed by the Enterprises. Our goal in pursuing these changes is to create refinancing opportunities for these borrowers, while reducing risk for Fannie Mae and Freddie Mac and bringing a measure of stability to housing markets.” Fannie Mae and Freddie Mac have helped approximately 9 million families refinance into a lower cost or more sustainable mortgage product, approximately 10 percent of those via HARP. or figuring out a refinance payment? Realtors, wouldn’t it be nice to quickly calculate a payment for the client? Never again will you have to guess your monthly payment when you’re shopping for homes because you can calculate your payment on the spot…even if you’re in the house you might want to buy! This calculator gives you the confidence you need to make a decision on the affordability of any house. Install this Complimentary Smartphone app now to eliminate uncertainty that surrounds buying a home and pin point your monthly payment with laser-like focus. Different loans default at different times for different reasons – Shocking! Both fixed-rate and adjustable-rate mortgages are susceptible to default, though at different times when the right amount of economic volatility shakes the financial markets, according to a new report from the National Bureau of Economic Research. However, the factors that end up leading each type of mortgage into default are often quite different. For the home buyer that is “shopping” for a mortgage, or waiting for rates to fall, or just “hasn’t gotten around to it”, we suggest you almost always lock, and to do it quickly. The sooner you lock your rate, the less chance you have of losing in the Mortgage Rate game. If you are refinancing, you can gamble a bit more, but if you have a signed purchase contract in hand, lock your rate as soon as possible. There is no better way to protect yourself from the fickle mortgage markets. Holding out for 1/8th – 1/4% more is just not worth the risk! If you want to gamble… go to Vegas. What is a Rate QUOTE? 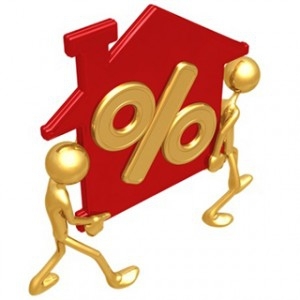 When buying a home or refinancing, it is common to call around to many lenders to get a rate quote. A quote is not a guaranteed rate. Another common issue with getting a quote is you often get one from Lender A on Monday, Lender B on Tuesday, and Lender C on Wednesday. Rates can change daily, sometimes multiple times, so unless you get all your quotes at the same time, you don’t have accurate information. THE ONLY QUOTE THAT MATTERS IS THE DAY YOU LOCK. Many lenders quote you low to get you to stop shopping, knowing that you will usually NOT be locking the same day of the quote – especially for any purchase loans. Be wary of anyone significantly lower than anyone else. What is a Rate Lock Period? The lender will usually quote rates along with a rate lock period, usually 15, 45, or 60 days. The loan must close within this period. The longer the rate period, the higher the interest rate. What is a Rate Lock? When you “LOCK” your interest rate with your lender, you and the lender agree this is the guaranteed rate you will receive, and that no matter what the markets do before closing, you will not be charged a higher rate if rates go up, and you will not be able to get a lower rate if rates go down. Your rate lock should be in writing. What Does It Mean to Float? Floating your rate means means that while your loan is in progress, the rate is NOT yet guaranteed. You are taking the risk that interest rates will either not go up or that they will fall. If rates have been dropping, then you might want to take a chance that rates will be lower by the time you close your loan than they are today. Discuss the floating with your Loan Officer. Sometimes it is worth the gamble, sometimes it isn’t.